I have been living in Perth since 4 years and I love WA. 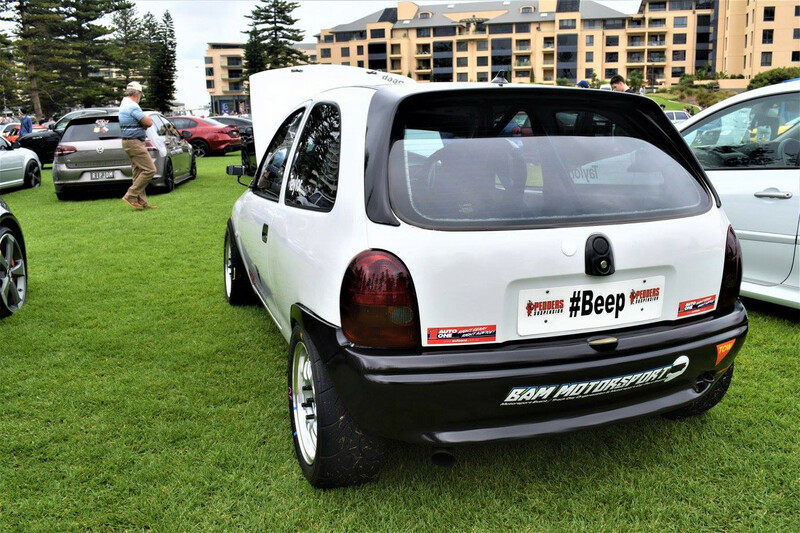 I come from France where I had a Corsa B (barina SB) with Astra F C16SE engine swaped, I bought it like this without knowing it was a banger ! And felt in love with it. 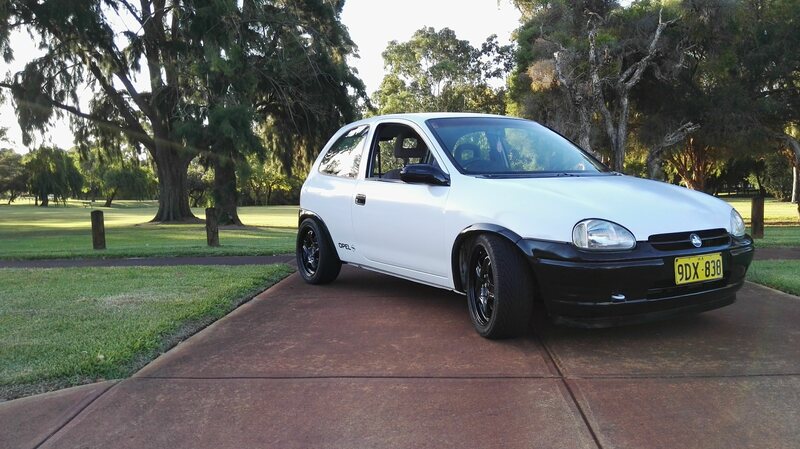 Since I am in WA I own a little white Barina SB city that I could source from a very nice old lady that had been offered a new car by her children. 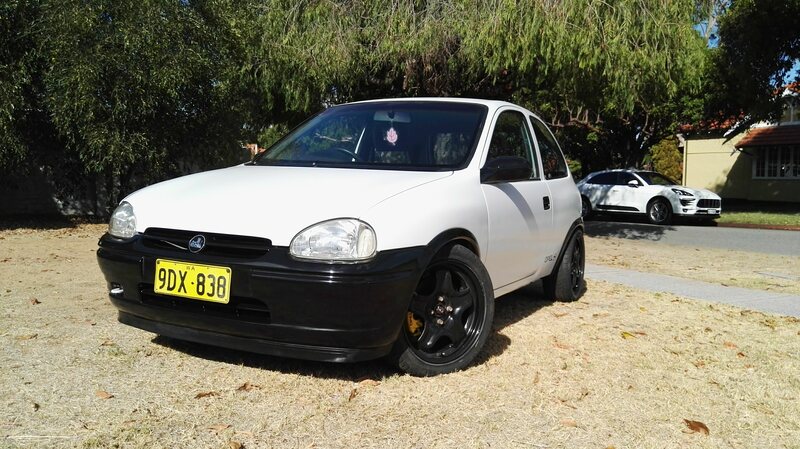 At the time the car had 68 000Km and been sleeping under a shed since her first day. I had great adventure through this whole time with my car. 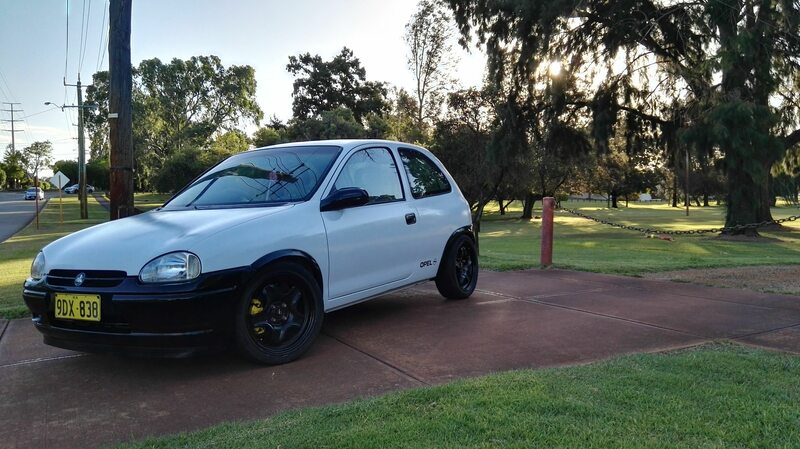 6 month ago, I decided that this car would be the base for a project, building a Barina SB to enjoy trackdays and eventually more if it works. My eager to learn and my love for cars and mechanic would eventually grow and give me all the potential to achieve it. 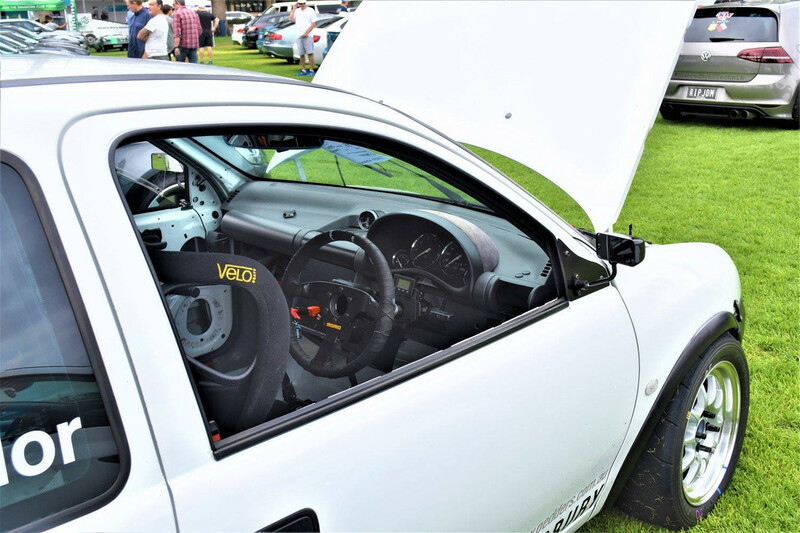 The build has already started 6 months ago and I posted the feed on french Opel forums. However, I realise it's a bit stupid not to extend it to where I live in reality and I would love to repost it all here and translate all the work I have been producing with all the pictures. In shorts line this is few of the objectives for now. As I just came from full time employment to student the project might drastically slow down but there is still a lot to come soon. Plenty of details not mentioned that goes along with the build that you will discover through the thread. I am self learning from forums, youtube and I really like feedback in order to get more knowledge and other points of views. I drop the last pictures taken from the car driven for the first time since 6 months today, the C12NZ is still in the car operational. Unreal, should be alot of fun! Thankyou! It has gotten a little sidetracked but is still ongoing! Welcome to the forum! Welcome. Seems like the build is coming along nicely. 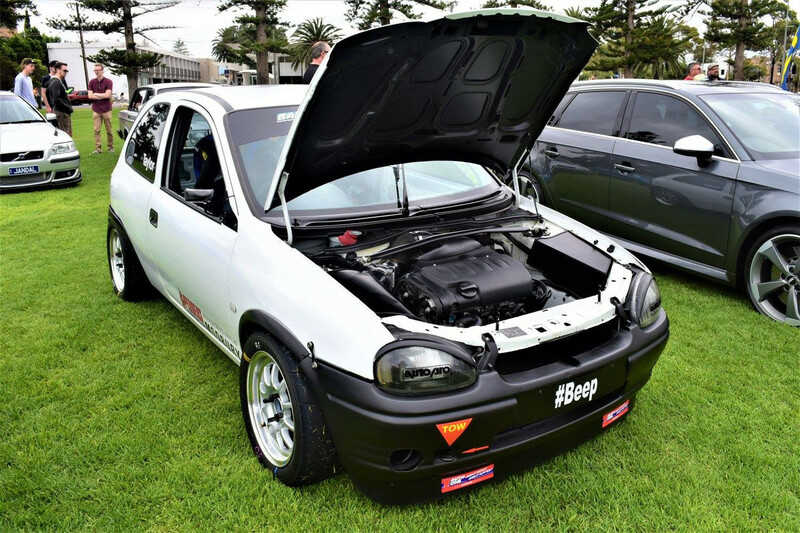 I have a friend here in Adelaide who has turned his Corsa B/Barina SB into a track car, complete with Z18XE swap and plenty of other trick bits. Has changed a bit since I took these pictures in late 2017 though. Jeez itâ€™s hard getting into the seat though! I have the same problem! If you happen to see what Jamie looked like, you'd know he'd have no problem getting in that seat. Short and skinny as a rake. Probably also helps having a detachable steering wheel too.